Whereas Japan has some of the best vital statistics in the world, including highest adult life expectancy, the rapidly ageing population has burdened the healthcare system. As a result, Japan’s healthcare industry tends to focus on medical cost efficiency, less invasiveness and innovation. 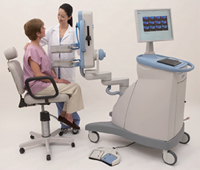 SCETI markets advanced medical systems in various fields although focusing on nuclear medicine, breast imaging, radio-therapy, respiratory screening, medical IT and veterinary. As part of its commitment to expanding the industry, the company provides turn-key solutions to medical players including device, engineering design, technical support and on-site operations. Working as a bridge between overseas makers and the Japanese medical community, SCETI provides unique market entries into Japan. While domestic medical market is expected to grow further, the company intends to continue sourcing and developing innovative solutions.